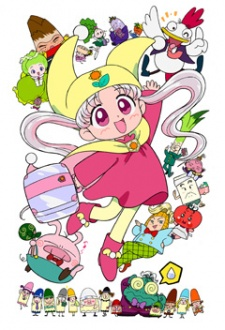 Plot Summary: The civilians of the Crayon Kingdom have always view their Princess Silver as a twelve-year old girl with a beautiful smile. However, unknown to them, the princess has 12 bad habits. This has created much distress to the Chameleon Prime Minister and the Crayon ministers for it would be embarassing if this gets out. One day, a party was held to celebrate Princess Silver's twelvth birthday. The princess was trying to seek her Prince Charming that she forgot to take notice of her bad habits. One of the boys at the party was so angry that he changed Silver's parents, the King and Queen, into stone. In order to break the curse and save her parents, Silver decided to set on a journey to locate the boy. Together with her companions, Silver begins her adventure.